The Indonesia - Australia Comprehensive Economic Partnership Agreement was signed on Monday, 4 March 2019. 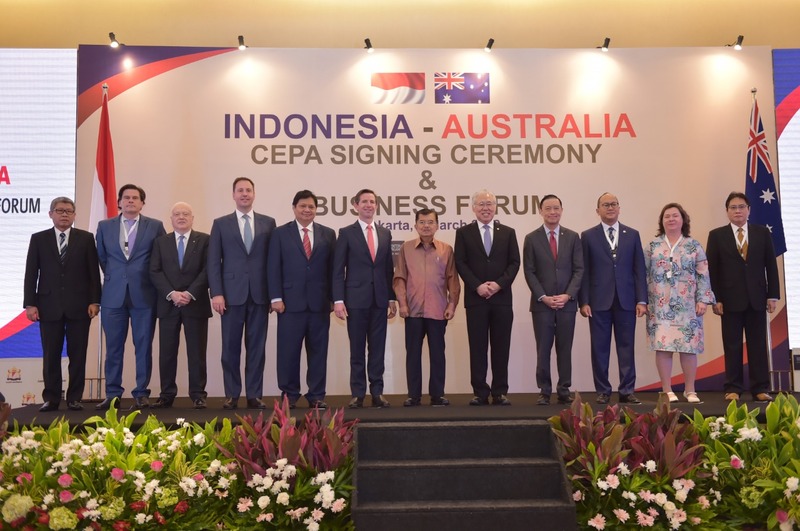 The signing was conducted by Mr. Enggartiasto Lukita as the Minister of Trade of the Republic of Indonesia and Mr. Simon Birmingham as the Minister of Trade, Tourism, and Investment of Australia, witnessed by the Vice President of the Republic of Indonesia, Mr. Jusuf Kalla. This signing of agreement constitutes a follow-up to the signing of declaration at the Bogor Palace on 31 August 2018. The launch of the 1st Round Indonesia - Australia Comprehensive Economic Partnership Agreement (IA-CEPA) was conducted by the President of the Republic of Indonesia and the Prime Minister of Australia in Jakarta on 2 November 2010. However, the IA-CEPA negotiation was being postponed for a time in 2013 due to the political dynamics of the two countries. The IA-CEPA was reactivated on 16 March 2016. The final round negotiations of the IA-CEPA were conducted in Jakarta in July 2018. Mr. Ukay Karyadi, the Vice Chairman of Indonesian Competition Authority, KPPU, was also present witnessing the signing. KPPU as the Working Group Chair for Competition chapter in the IA-CEPA hopes that this cooperation will have proper impacts for both Indonesia and Australia especially in promoting a fair competition climate in both countries.